E X P A N D your knowledge, s t r e t c h your limits. Here at Ganesha Institute we like to support Massage Therapists with their continuous need for learning and growth. One of the things I love about the profession and the people in it, is the openness to new things; always trying to find another way to help those around you. 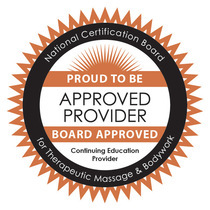 As more and more people get Complementary Alternative Therapies with their treatments, and more doctors and hospitals include massage, we wanted to help you get the best possible training to be out in a specialized field. Gan means group. The universe is a group of atoms and different energies. This universe would be in chaos if there was no supreme law governing these diverse groups of entities. The Lord of all these groups of atoms and energies is Ganesha. He is the supreme consciousness that pervades all and brings order in this universe.